To receive the Financial Statements and Annual Report of the Corporation for the financial year ended December 31, 2018. To confirm elected Directors of the Corporation. 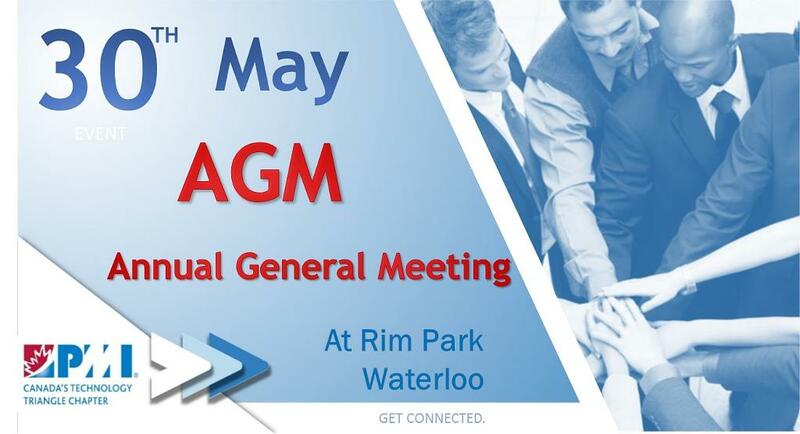 An email was sent out on April 11 to all members with a link to the online proxy form for appointing the Director of Governance & Finance as your representative to vote at the meeting on your behalf, no later than 5:00 pm on May 29th, 2019. The PMI-CTT Chapter is governed by elected Directors. The term of office for each director role is two years. This year there are 4 positions coming open. This is a volunteer position with an approximate time commitment of 20-30 hours per month. In addition to supporting and contributing to the Chapter, the opportunity as a Board of Director of the PMI-CTT Chapter allow the successful candidates to earn PDU’s, expand their professional network and try something different that could benefit their career. To be a candidate for election as a Director, you must be a PMI-CTT Chapter Member in good standing. Experience gained from participation as a volunteer in a not-for-profit environment is preferred, and involvement with the PMI-CTT Chapter activities for a minimum of one year is recommended. If you wish to nominate yourself or someone else, please fill out the online Nomination Form. Nominations will close at the Canada’s Technology Triangle Chapter Office at 5:00 p.m. Monday April 30, 2019. As a member, you belong to an organization that has grown by over 10%and represents an increasingly diverse cross section of the communities we serve. 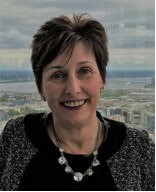 Now at over 800 members, we can boast measurable representation outside of our traditional financial services/insurance and technology roots to include an increasing number of project professionals from the construction, automotive, high tech/manufacturing, municipal government and academic/student sectors. Their perspectives and industry influences have enriched our events, framework and tool discussions and has broadened our lens into what our profession can offer to our clients. Our leadership team and board has been fortunate to welcome many new members and their influx of new ideas, energy and enthusiasm has allowed us to expand our offerings and provides a solid foundation for continued growth and improved programming in 2019 and beyond! Our Symposium team, working hand in hand with our leadership and board members, introduced a new format and expanded scope including more leadership, program/portfolio focused and agile frameworkofferings than ever before. By partnering with engaging speakers and attracting high profile sponsors, they delivered one of the most successful Symposiums in our Chapters’ history. Finally, I would like to say thank you to all of youfor allowing me to represent your Chapter within our Region and on a global scale over the past year and half as President. This role has been and continues to be incredibly enriching both personally and professionally. As I reflect upon the relationships, experiences, the passionate membership and gifted volunteers that are PMI-CTT, it is clear that I have received far more from this experience than I can ever reciprocate. In my closing months, I will continue working with the leadership team to build the foundation for future growth, enhanced programming and increased member value. Wishing all of you, your friends and families, a joy filled holiday season and continued success in 2019! 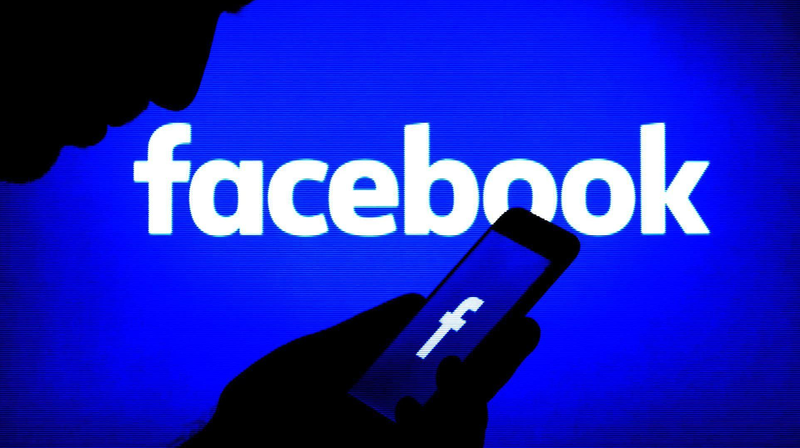 PMI-CTT is now on Facebook!! We are on Facebook now, check us out and follow us! 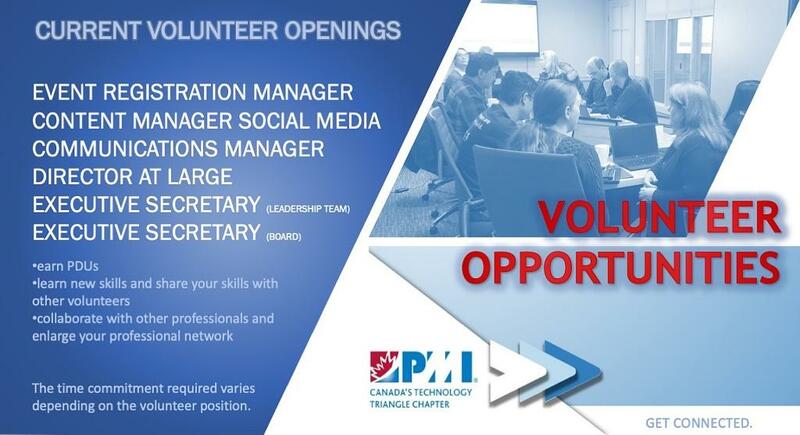 Volunteer Opportunities with PMI-CTT - Take a look! Are you interested in earning PDU's, supporting a not-for-profit organization and expanding your network? There may be opportunities available that are just what you're looking for to complement your professional development. Click here to see what roles are open currently.